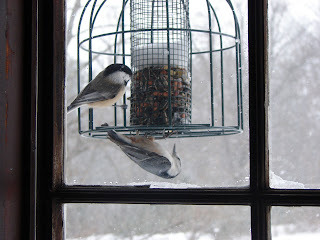 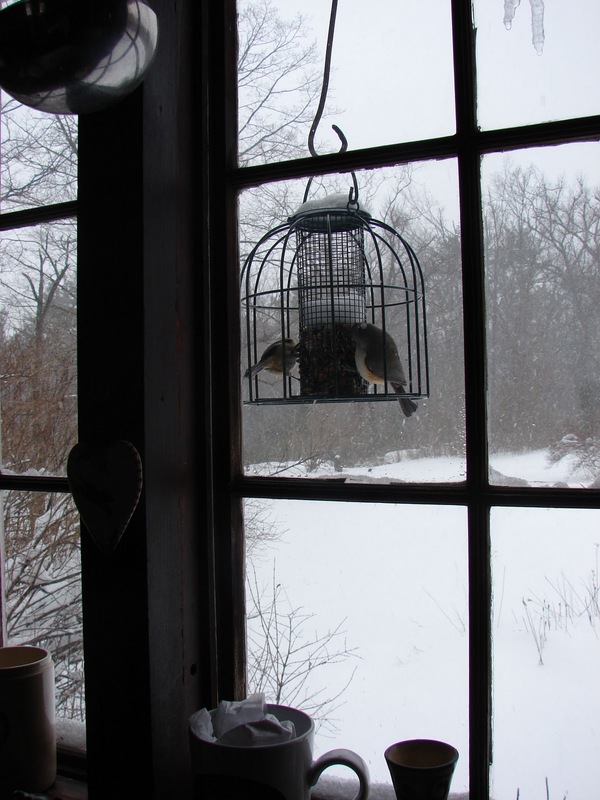 We have two bird feeders up now; the second one is just outside the window over the kitchen sink. 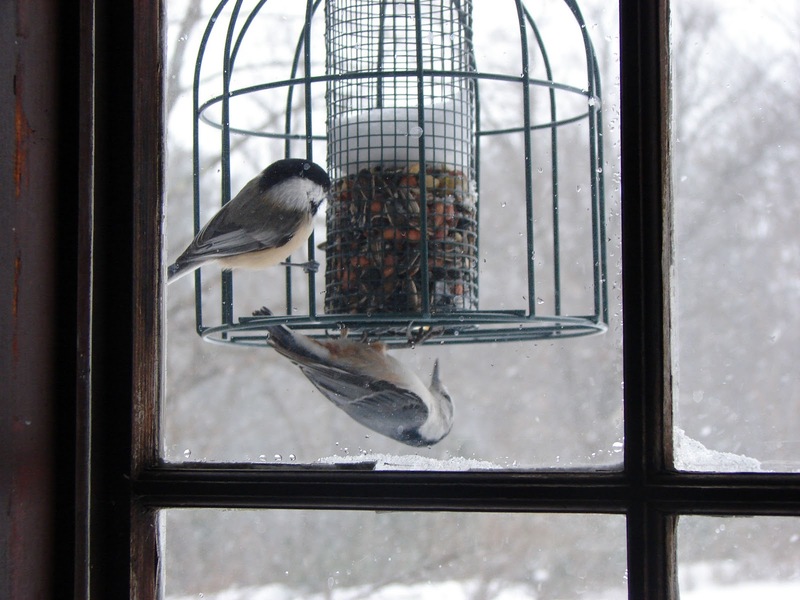 Yesterday we had a howling blizzard come through that dumped more than a foot of snow here at The Fahm but the birds seemed completely unaware of the storm. 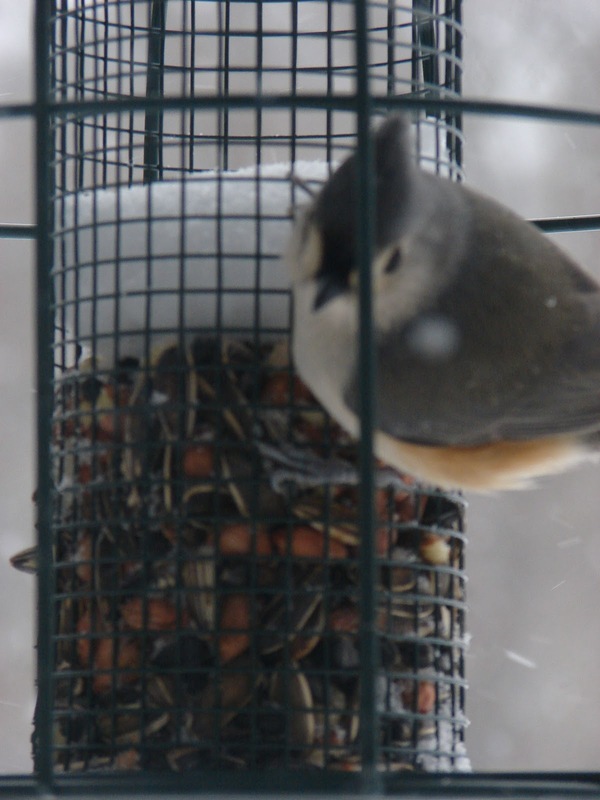 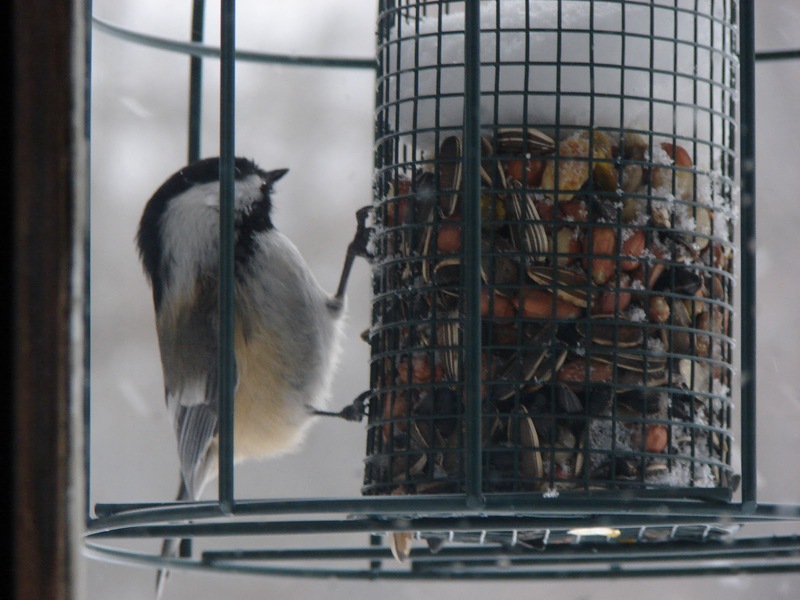 They just kept doing exactly what they've been doing since we put up the feeders, that is, flitting and flying about, eating seeds and dropping them to the ground for the squirrels. The squirrels, by the way, were not out during the storm. Just the birds, the birds with snow on their beaks.